It's back! Fruit Brute and Yummy Mummy have risen from the grocery graveyard. (With some Target-exclusive Retro packaging to boot!) Over the last decade the monster themed cereals have been returning each Halloween, well, everyone except Fruit Brute and Yummy Mummy. This year they have finally made a comeback! *Franken Berry and Boo Berry are Halloween exclusive in my area, but they have always returned each year. I was really excited to give these returning cereals a try because I never had the opportunity to do so as a kid. Fruit Brute was extinct before I was born and my family never purchased Yummy Mummy. Out of the two returning flavors Fruit Brute appealed to me the most, so I picked up a box. 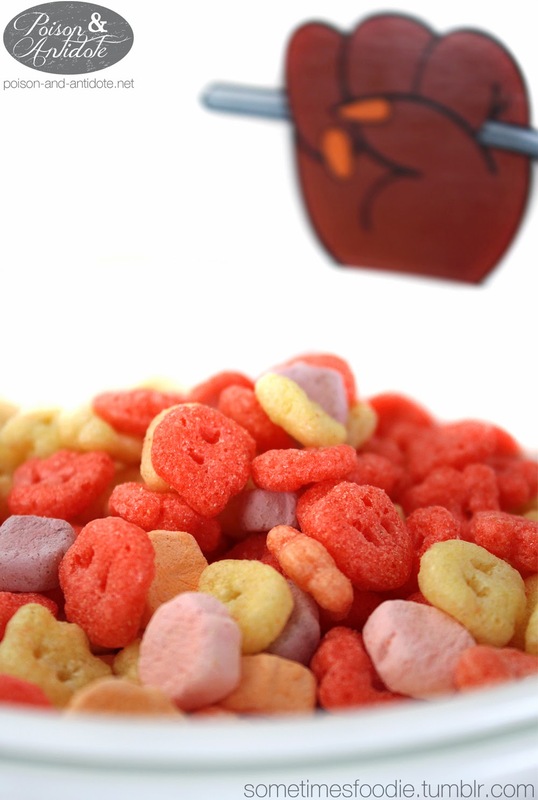 Inside, there are little yellow/white ghost-shaped cereal bits mixed in with reddish-pink ones. At first glance, this looks a lot like Franken Berry mixed with some vanilla variation, and it smells extremely mild. The dry cereal has a generically fruity aroma that reminds me of Trix, so there is no way I would guess that this was cherry flavored on the scent alone. 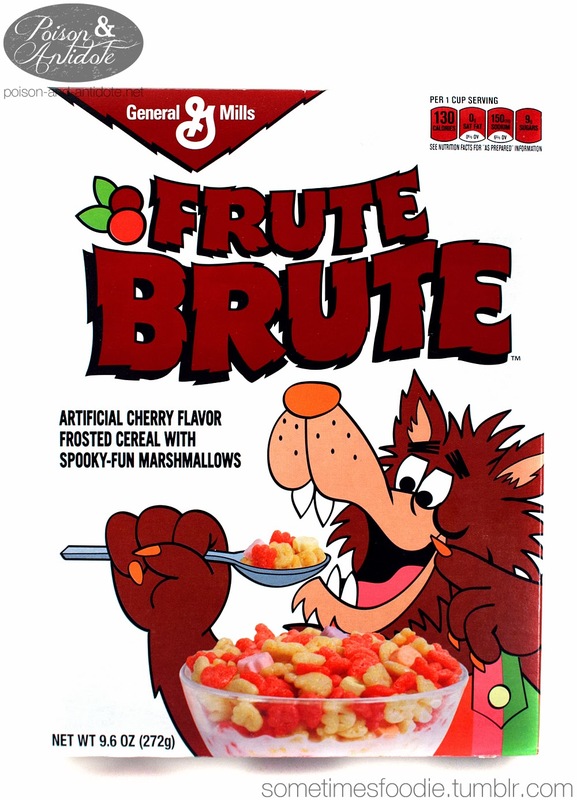 Now the original cereal was supposed to be cherry flavored with lime marshmallows, hence the little red circles and green lime-shapes up on the top left, but there is no mention of lime on this box. Instead it states that this is, "Artificial cherry flavor frosted cereal with spooky-fun marshmallows." I wanted to check and see if they are still lime flavored, but after a few bites...I'm still not sure. 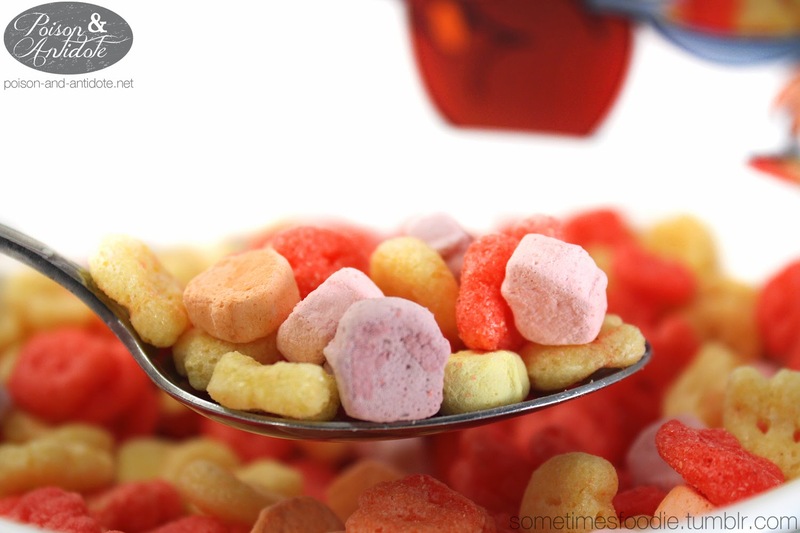 When eaten dry (without milk), this tastes a bit like Fruity Pebbles with some marshmallows mixed in. I actually like this cereal quite a bit, but I would never think that the flavoring was meant to be lime and cherry. While pleasant, this kind of has that generic fruity flavor Fruit Loops,Trix, and Fruity Pebbles has. Does Fruit Brute really need to return? Maybe not. Am I happy it did? Definitely. Classic cereal lovers may hate what I'm about to say, but I really think the flavor formulas need to be revamped. 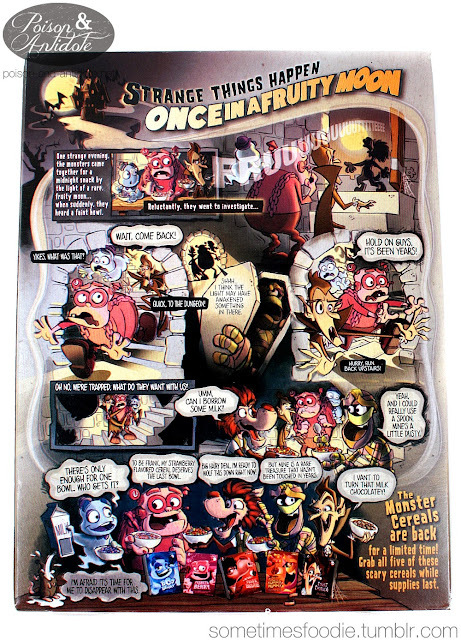 I love the concept and monster theme of these cereals, but I want more of a realistic fruity flavoring. Maybe revamp the recipe and formula? Either way, I kinda hope these return next year. If they do I'll track down and try Yummy Mummy.